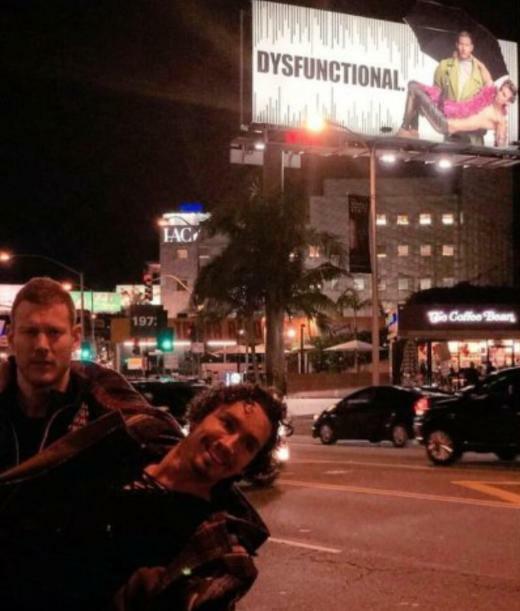 If you live in L.A., you see posters for movies and shows everywhere. During Oscar season, they're "for your consideration." Outside of Oscar season, they're simply there, relentlessly hounding you to consume whatever media they're pitching. 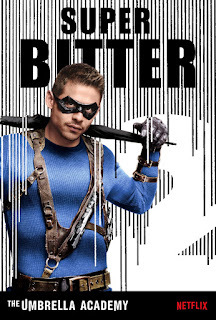 In recent days, the posters that I've been seeing crop up like weeds are for The Umbrella Academy. The posters are relatively plain but communicate the show's premise very effectively: it's about dysfunctional superheroes. Naturally, such a show appeals to me. Even if it didn't, the inescapable barrage of advertising almost forces one into viewing, if only to sate the curiosity it artificially generates. 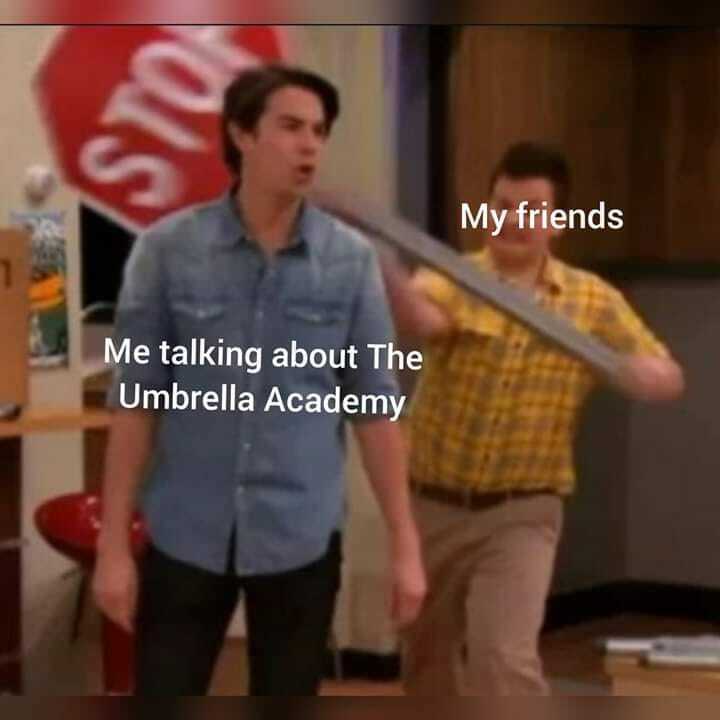 I am in love with The Umbrella Academy and can tentatively say it's my newest fixation. (My brain, as dysfunction as the superheroes in the show, generates seemingly random fixations only rarely, about every five years or so. It's been on board the Marvel train for over a decade now.) 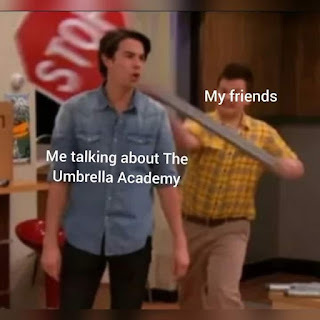 But this post isn't about The Umbrella Academy. This post is about feather boas. Naturally, one of the first things I did when I became obsessed with The Umbrella Academy was to begin planning out various cosplays. I can reluctantly admit that my boyish good looks make in a shoo-in for a Number Five outfit, even though the character I really wanted to dress up as was Klaus. I went onto Amazon and purchased a cheap feather boa for less than ten dollars, along with a mesh shirt. The boa arrived and was regulated to my desk, where it sat shedding feathers all over the place like some sort of nightmare Persian cat. It was a little disappointing to me; it was not as fluffy as I'd expected, though somehow still too fluffy, and one end of it revealed the white yarn skein that held it together. Unsure of how one stores a boa, I opted to push it aside, hoping it might sort itself out. It did, in the sense that it somehow managed to continue shedding feather fluff everywhere without ever being touched. A few weeks later, for a writing assignment in one of my journalism classes, we were asked to flex our narrative muscles thusly: "Find a single thing, [and] describe it in detail -- 250 words maximum. Appeal to as many senses as possible -- not just what it looks like, but what does it sound like, feel like (or could feel like), smell like. Attach emotional responses to this thing. Use as many action verbs as possible; don't use adverbs. Then, post five interesting and provocative questions about the thing." My eyes landed on the feather boa. How could they not? It shed in pleasure at being noticed. "Shed light on me," it seemed to shed say. Collapsed into a tangled heap on the desk, the pink feather boa does not stir. At a distance of three meters from where I sit, its snake-like form hides amid the confines of its ostentatious down; retired from its usual manic energy, it huddles quietly now, begging not to be seen and failing abysmally due to the unnatural shock of its artificial coloring. Its scent undoubtedly assaults the senses with stale, cheaply manufactured goods. Its touch, perhaps, deceives, an itchiness underlying its expected softness, another subtle hint to its unnatural existence. 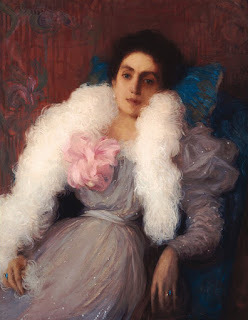 As an accessory, and in the right setting, the feather boa dazzles. The few larger feathers that stand askew from the pile imply an item that should be in flight. 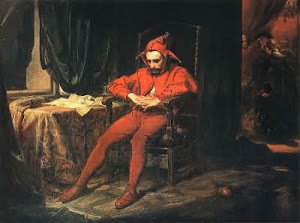 Now abandoned, and removed from its usual raucous environment, its featureless body silently screams its own discomfort in the natural world, like a clown sitting in a church pew. A feather boa in a quiet room makes the room quieter, because it calls attention to the stillness; a feather boa tossed aside elicits a slump from the shoulders it should be draped over. Its purpose served, it now memorializes a good time past, one that may or may not ever be lived again. The questions came naturally. When did artificial feathers first become cheaply and readily manufactured? Were the feather boas of can-can dancers past made of real feathers, and if so, how expensive would they be to purchase? What societies, cultures, or persons are associated with the boa? 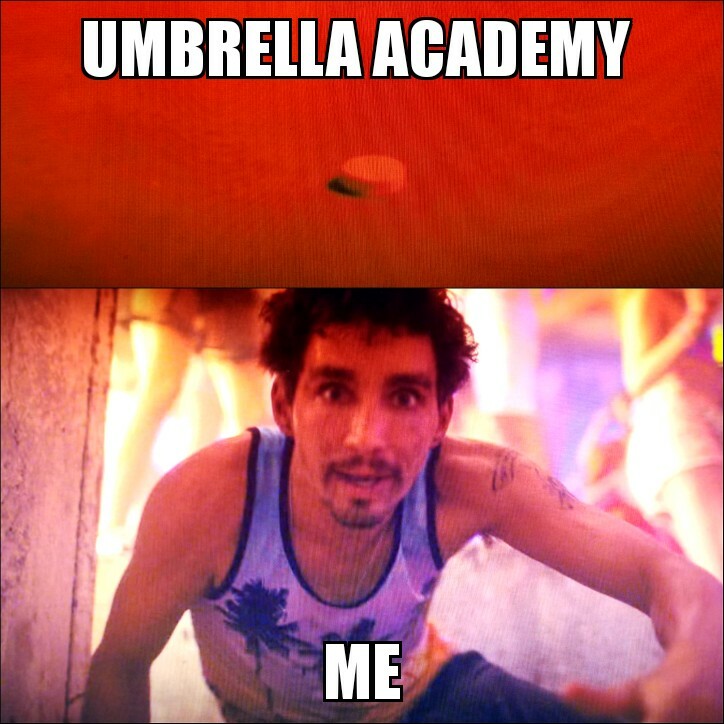 (Again, can-can dancers spring to mind, at least for me… but who else?) Why was the feather boa invented at all, and by whom? It seems impractical to both create and to wear. How many feather boas are sold annually; how many exist worldwide; what is the ratio of feather boas to people on earth? Just how “popular” is this item? What does the manufacturing process of this item look like? Do fetal feather boas occupy factories with other cheap, mass-produced novelty items, such as plastic vampire teeth, or black felt domino masks? 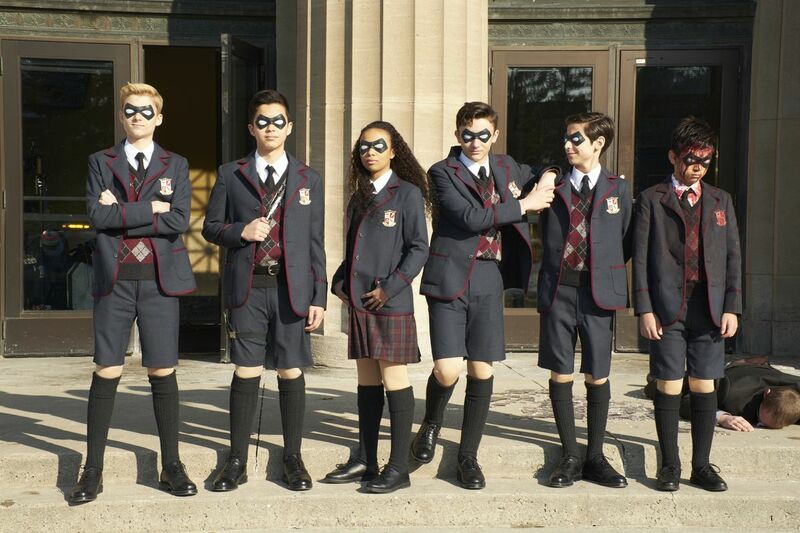 LIKE THE ONES WORN BY THE UMBRELLA ACADEMY?? I could not pose these questions without making an attempt to answer them. The Wikipedia page was fairly small, considering the ubiquity of the pink feather boa, though I immediately learned a few things. For one, the inner skein of the boa is called a "ply," and the feather boa I had purchased was of the "chandelle" variety, which is thinner than the more commonly pictured ostrich feather boa. As I suspected, feather boas were a recent invention. Their invention is credited in one book to Henri Bendel, a milliner born in Louisiana in 1868 whose name is borne by the iconic New York accessories company. I have my doubts that Bendel invented them, though. More accurately, he popularized them. 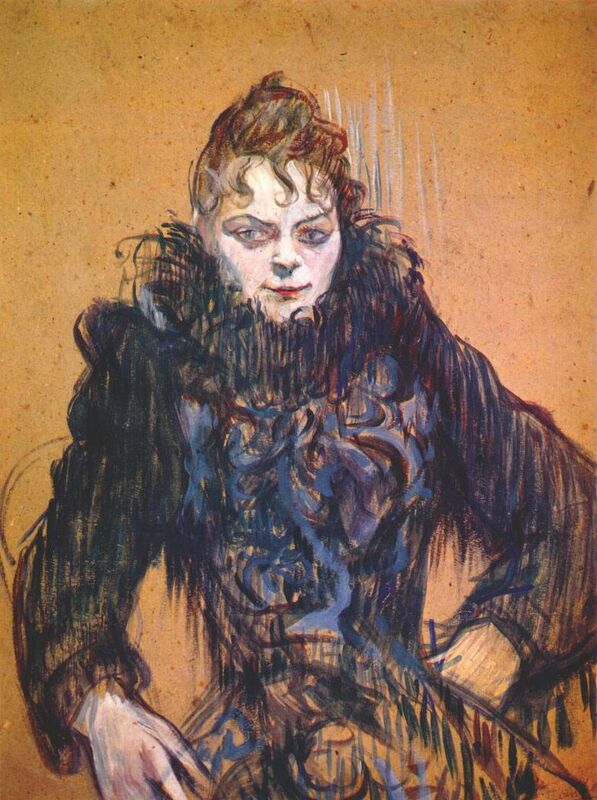 Bendel was, after all, the history of the feather boa incarnate. His parents ran a store with a vaudeville house above it called Falk's Opera House. This explains, to me, anyway, the association of feather boas with burlesque as well as Louisiana (read: Mardi Gras) culture. Bendel would later become the first exporter of Coco Chanel products to the U.S. 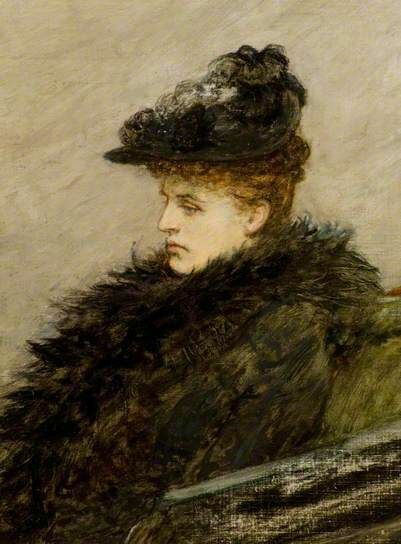 The French influence as part of the history of the feather boa cannot be overstated; in the 12th through the 16th centuries, feathers were a common accessory used in hats or masquerade masks by the aristocracies of Italy and France. So Bendel was far from the first to see the seductive appeal of feathers. 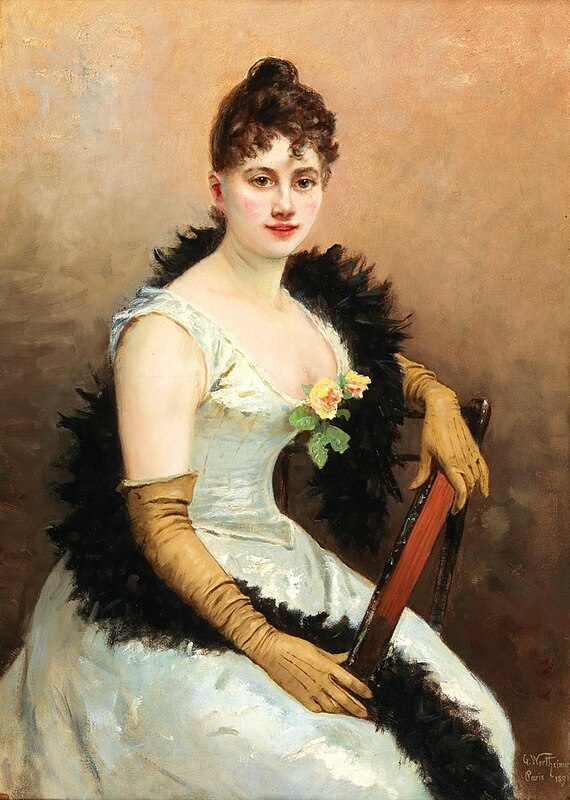 In the 1880s, when Bendel was barely yet an adult, three out of four ladies' hats had feathers in them (based on a casual observational study by Frank Chapman), and dozens of species were used for feathers. The decorative feather was a staple of high Victorian and Edwardian fashion; feathers were worth twice their weight in gold, and in 1900, the millinery trade employed 1 of every 1,000 Americans. That year, the Lacey Act of 1900 was passed; it outlawed the illegal trade of wildlife. 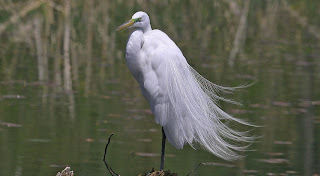 Eighteen years later, the 1918 Migratory Bird Act Treaty put an end to the trade of feathers obtained from egrets and other migratory birds, many of whom were among the most popular for hats, boas, and other accessories. The feather industry prompted collapsed. 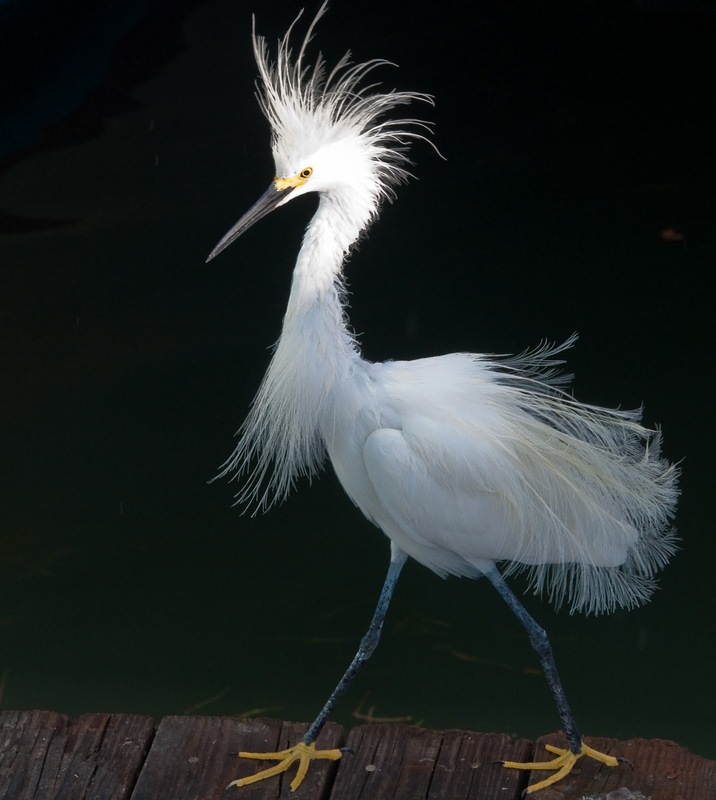 Look how goddamn magnificent the Snowy Egret is. I'd take birds over boas any day. 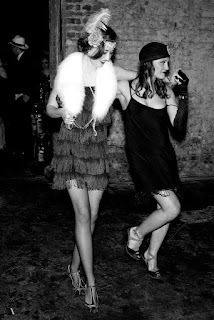 The boa as an accessory piece experienced a brief, sputtering comeback during the 1920's "flapper" era, but the boas of this time were largely made of fur or of yarn. 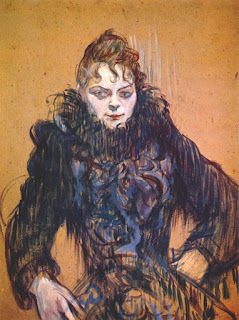 In fact, the resurgence of the boa during the 1920s was due in part to the development of "eyelash" yarns in the late 20th century, allowing boas that were feathery (but not actually made of feathers) to be knitted. These boas were lighter than traditional feather boas, softer, and didn't shed feathers. 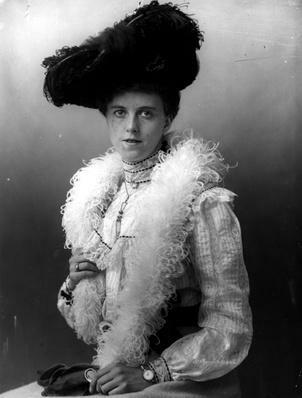 Miss Maud Goodman, 1902, with an "eyelash yarn" boa. A fur boa and a rare, iconic fringe dress. The fringe dress was not as popular as you might believe. In the 1970s feather boas came back. Now made of artificial materials, they found an unlikely niche in glam rock and wrestling. Suddenly cheap to manufacture, feather boas fell from "high fashion" to a more tacky accessory. However, they remain stubbornly fixed to some posh cultures and clubs, including the Red Hat Society. I could find no information on just how many boas exist in the world, though I found boas for sale from Jo-Ann Fabrics, Wal-Mart, Amazon, and sold in bulk by the Oriental Trading Company. This implies to me a shocking volume of boas floating around the world, shedding ominously. Curious to see what the state of real feather boas was, I went to eBay and found a few ostrich feather boas. The going price ranged from $255 to $355. 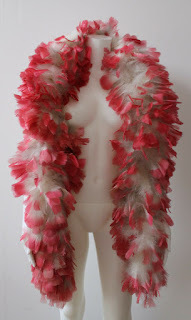 Here's what a real ostrich feather boa looks like, courtesy of eBay. Real feather boas, it seemed, remain a hot commodity, a status symbol of the wealthy elite. But the mass marketed, mass produced, and mass consumed artificial feather boa had unseated the boa's ritzy image. Once "haute coutour," feather boas are now a treasured accessory found in the arsenal of drag queens, Floridian grandmothers, and junkie superheroes who are haunted by their past trauma. They nearly drove egrets into extinction, so it feels, to me, only fitting that the boa should be punished thusly; its once-glamorous reputation forgotten, it now sheds tears (and feathers) on the shoulders of the common layperson, a cheap and silly accessory whose rich history remains largely unknown. The fashion industry has had a few.